My 300th Kosher Samurai post! According to the benevolent overlords at WordPress, this is my 300th posting. 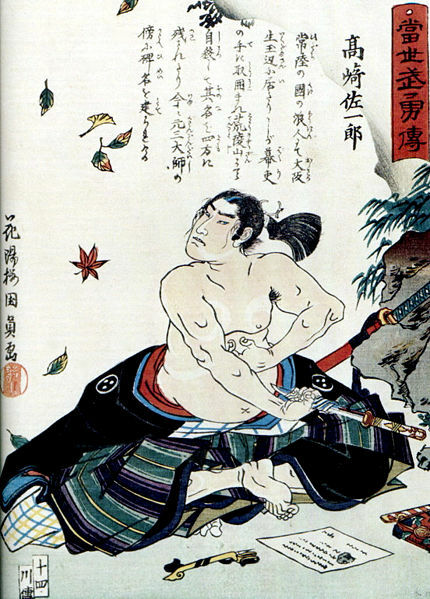 Hard as it may be to believe, folks, 300 Kosher Samurai articles and counting! I’m having a blast posting on this blog and I hope that you are enjoying yourselves. Thank you for reading. Thank you for your kind comments and encouragement. Nothing unnerves a gaggle of rednecks quite like the silvery laugh from a vampyre that just received 33 bullets in her chest. They generally find it unsettling. A deep self-satisfied sigh… a single dark eyebrow arched high over a glowing green eye… a coquettish turn of the head. A half-dozen pair of eyes stared, transfixed, as a tiny smile played at the corners of those luscious moist soft red lips, two precious emeralds set just above. The men were dead before their bodies hit the snow, their life forces seeping out, staining the soft white blanket beneath them. Right now, I am making my way through Laurell K. Hamilton’s Anita Blake: Vampire Slayer series of novels. And please do not think that Ms. Hamilton’s writing lives down to the dreck I scribbled above. I like her works. I am not the fastest reader in the world, so it is taking me forever (or so it seems to me) but I enjoy these books. It is a fabulous blend of the film noir, hard-bitten wise-cracking private detective style and modern vampyre ‘out of the coffin’ motif. If you haven’t read these books, give the first one, ‘Guilty Pleasures’, a try to see if, like me, you get hooked! It’s not you, it’s… umm, well… actually, it is you. How much more so when the object of your former affection is one of the living dead or even one of the undead. Every relationship has its ups and downs and being involved with the ‘less than alive’ is no exception. But even within the most committed of couples, we sometimes find that, over time, the ‘significant other’ is not the only thing dead in the relationship. It’s at times like these that warm-blooded partners must come to a decision… how to break up with the vampyre or zombie in their lives. It’s fraught with danger… both emotional and physical. Ending a vampyre-human relationship is, in many ways, the trickier of the two. Many vampyres are quite old and if anyone’s heard the “It’s not you, it’s me!” line more times than they’d like to remember, it’s them. Unless skillfully played, you might find yourself in the unenviable position of trying to speak without vocal chords. Here’s a helpful hint. Before breaking up, chow down on a big caesar salad with extra garlic, some garlic bread and… why not go for broke… pasta with a zesty garlic tomato sauce. Being dumped by someone with toxic breath takes a bit of the sting out of it for the vampyre. If it seems that you’ve tried every break-up strategy in the book, you might want to resort to more drastic measures. Try ‘absent-mindedly’ opening the drapes on a sunny morning. If not fatal, this technique might prompt the vampyre into breaking up with you first. Win – win! Be warned, however. Vampyres have been known to become attached to a partner to an unhealthy degree. 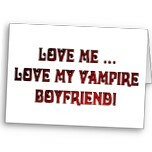 It is not uncommon for a vampyre to consider a 30-year-old relationship as still being in the honeymoon phase. But with patience, a steadfast determination and some wooden stakes as back-up, you should be able to navigate the break-up with your heart (and throat) intact. Zombies are a different kettle of rotting fish altogether. The bad news is that, for almost every human involved in a zombie-love relationship, things begin to deteriorate at about the same time as… well… the zombie. This almost invariably begins at the time that the significant other begins to show signs of going flat-line. You need to act fast. Subtle hints won’t work. Obvious hints won’t work. Often times, spelling it out in no uncertain terms won’t work. Also, as with the vampyre, timing is key. 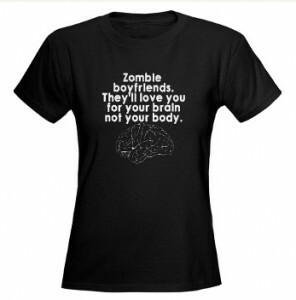 You don’t want to wait until your partner goes The Full Zomb. Just before your former soul mate starts thinking of you less as the love of its life and more of the main course of its dinner, you need to take drastic action. Use the last shred of the almost-zombie’s humanity against it. Give out with the big puppy dog eyes, the trembling chin and ask for one last loving hug. Just as the soon-to-be-ex-partner is about to come in for the final snuggle, put the barrel of your .38 snub nose to its head and give ’em two in the hat. It’s not easy… but it has to be done. Sometimes you have to be cruel to be kind. There is no room for hesitation. No room for second thoughts. You may only get one chance. Don’t wimp out. Your love for the rapidly vanishing human that your partner used to be may, at this stage of the relationship, be your worst enemy.